Interested in establishing trustful relationships with your clients? There’re lots of useful tips on the Internet concerning this issue but we’ll dwell on a service providing functionality that will surely suit you. If you’re in email marketing, you certainly know such services as GetResponse, MailChimp, Aweber. All of them have pros and cons. The choice depends on your aim, needs and, of course, prices. That’s why I highly recommend you to think over SendPulse. SendPulse is a great solution to many marketing problems. One of its best advantages is that the company offers not only email service as we’ve got used to knowing. This project offers email, web push, SMS and SMTP services. Just imagine, 4 services in one place! You can ask why it is so cool to have all-in-one service. 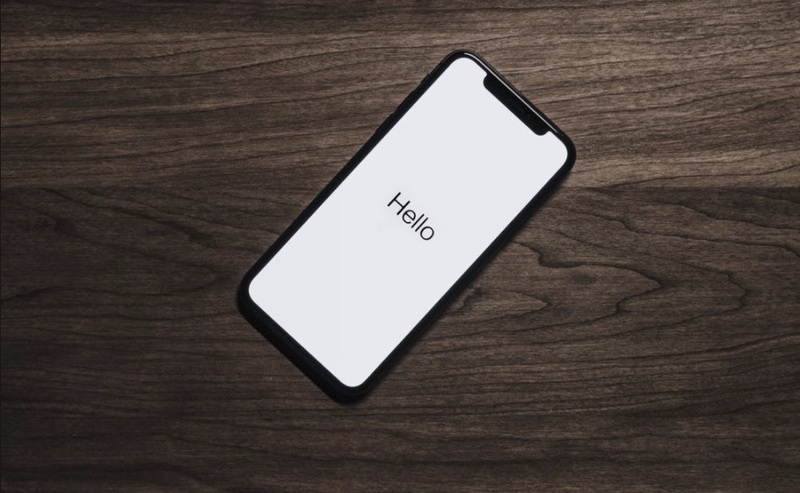 Establishing relationships with the clients is not an easy task as all your subscribers are people living different lives, having different needs and preferences. You can’t find one method that will fit them all perfectly. That’s why SendPulse offers these services for better engagement, higher email open rates, and optimization. The most used service in SendPulse is probably an email one, but I tried and enjoyed SMS Service. So, I am going to dwell on SMS Service in details. Let’s get it started! I’ve chosen SMS Service because I’m in e-commerce. It’s really cut out for my type of internet business. I consider SMS an excellent idea, even better than an email because SMS is more likely to be read. To read an email you need to have Internet, spare time, good gadget and email address of course. Besides, people rarely read all the emails which they get. While SMS is a much easier way to communicate. 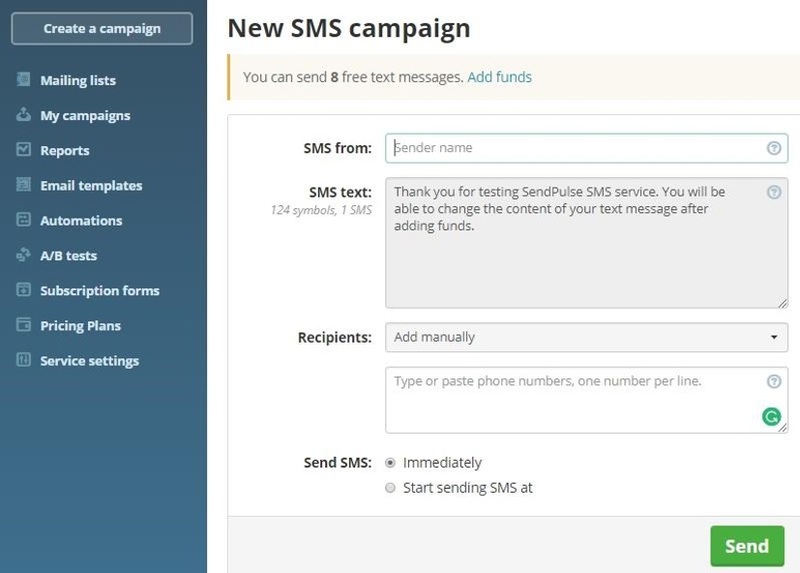 What’s special about SMS Service in SendPulse? Prices are quite affordable. You can check them at the website and add the necessary amount of funds for you in your member’s area. It’s possible to send SMS in more than 200 countries at an extreme speed – 200/500 SMS per second. If you’re still not sure whether SMS will be sufficient to your business or not, you can try the free trial. It’s not presupposed for being used in email marketing but a great chance to try. You’ll have 10 free SMS with the unchangeable text only. It’s for you to know the way your clients will see your messages. All the options for sending are available. I love this feature. If there’s any chance of marketing automation – I’ll certainly take an advantage of it. This SMS automation allows sending campaigns during non-working hours, on special dates – holidays, client’s birthday, etc. Scheduler prevents from making technical mistakes and makes it possible to send SMS at any time you wish. You’ll hardly find a marketer who doesn’t use this method. Of course, it’s not a new boom but it still works, so why not use it? Make every your message individual and unique, insert personal information about the clients. Monitor deliveries and openings of SMS. I suggest you trying SMS service in SendPulse!